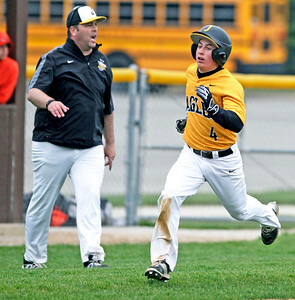 H. Rick Bamman - hbamman@shawmedia.com Jacobs head coach Jamie Murray shouts encouragement as Adam Kale rounds third base to score a run against McHenry in the second inning on Monday, May 9, 2016. Jacobs beat McHenry, 8-2. H. Rick Bamman - hbamman@shawmedia.com Jacobs' pitcher Brednden Hess fields a grounder and tosses to first to make the out in the third inning on Monday, May 9, 2016. 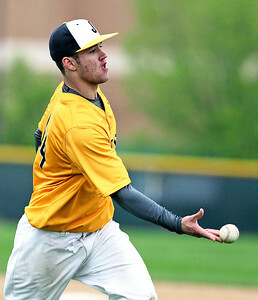 Jacobs went on to win defeating McHenry, 8-2. 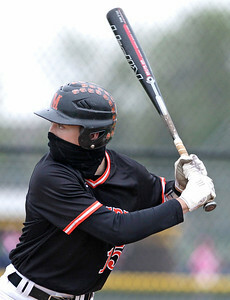 H. Rick Bamman - hbamman@shawmedia.com McHenry's starting pitcher Robert Miller III masked against the wind bats in the fourth inning on Monday, May 9, 2016. Jacobs beat McHenry, 8-2. H. Rick Bamman - hbamman@shawmedia.com Jacobs' Kraeton Moll fields a grounder as McHenry's Joe Garapolo heads safely into second in the fourth inning on Monday, May 9, 2016. Jacob's defeated McHenry, 8-2. H. Rick Bamman - hbamman@shawmedia.com McHenry's Owen Patzin grabs a Jacobs' gounder between second and third base in the fourth inning on Monday, May 9, 2016. 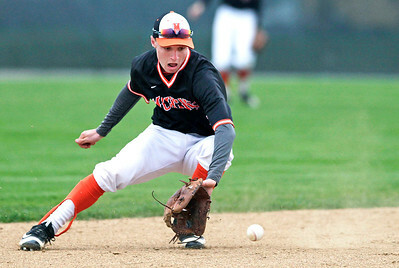 McHenry fell to Jacobs, 8-2. H. Rick Bamman - hbamman@shawmedia.com McHenry's Max Walter pitches in relief against Jacobs in the fifth inning on Monday, May 9, 2016. 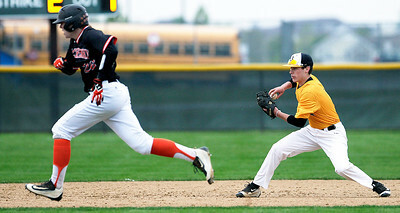 McHenry fell to Jacobs, 8-2. 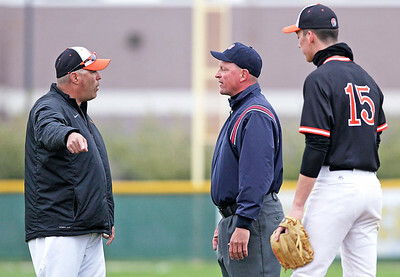 H. Rick Bamman - hbamman@shawmedia.com McHenry Head Coach Brian Rockweiler and pitcher Robert Miller III question umpire Tim Goraj after a called balk in a gme Monday, May 9, 2016 against Jacobs.